Judy Schwank recognizes that the needs and concerns of residents of the 11th Senatorial District are not limited by its boundaries. Her achievements in government and nonprofit realms reflect Judy’s interest in and advocacy for sustainable growth and prosperity, both locally and statewide. Judy has dedicated most of her adult life to public service. A former Berks County Commissioner, Judy has been committed to serving the people of Berks County. Her passion for promoting sustainable growth, prosperity and preserving agricultural integrity has been exemplified through her many accomplishments in public service. After college, Judy worked as a Berks County horticultural agent for Penn State Cooperative Extension and established the Master Gardener Program. She became director of the Berks County Cooperative Extension Program in 1991 and was elected as the first female Berks County Commissioner in 2000. Judy’s interest in creating a sustainable Pennsylvania has drawn her to public service roles in the government and nonprofit realms. Berks Heim nursing home, a needed resource for the county’s most vulnerable senior citizens. Judy recently received the Pennsylvania League of Cities Outstanding Public Service Citation for her work in support of local government and communities throughout the commonwealth. As President of 10,000 Friends, Judy provided support to organizations and individuals committed to improving the quality of life for all Pennsylvania residents. Under her leadership the non-profit agency developed policies and actions to revitalize and sustain Pennsylvania’s social and economic climate in order to encourage responsible land use, sustainable development, and promote agricultural heritage. Most recently Judy served as the Dean of Agricultural and Environmental Sciences at Delaware Valley College. Additionally, Judy also served as a member of the Board of Directors for the Girl Scouts of Southeast Pennsylvania. Judy received her B.S. and M.Ed. in agricultural education from Penn State University and completed the Executive Leadership Program through the Institute for Conservation Leadership and the Institute for the Management of Life-Long Education at Harvard University. She attributes her success to her parents who taught her that public service, a strong work ethic and personal integrity were the keys to a rewarding life. She serves as the Democratic chairman of the Senate Agriculture and Rural Affairs Committee. During the current (2019-20) legislative session, she also will serve as Vice Chair of the Senate Appropriations Committee and serve on the Aging & Youth, Local Government, and Health and Human Services committees. 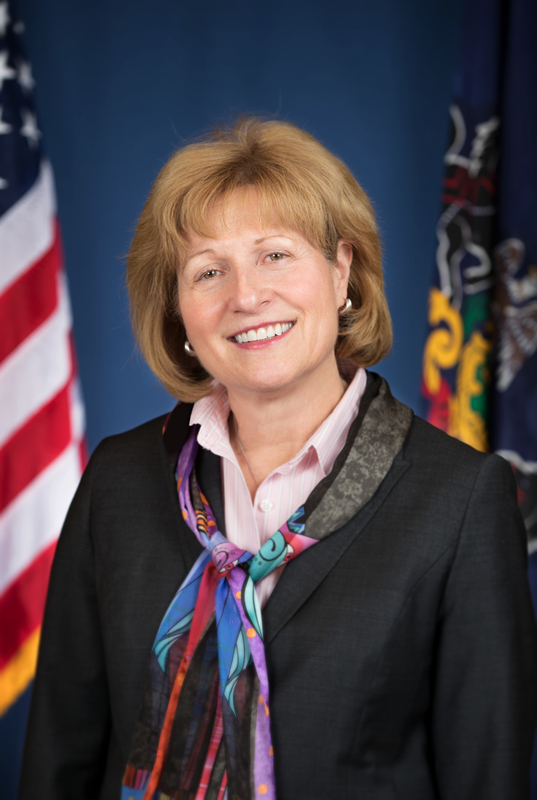 Senator Schwank has also been appointed by Senate leadership to the board of governors on the Pennsylvania State System of Higher Education (PASSHE) and the Pennsylvania Interbranch Commission for Gender, Racial, and Ethnic Fairness.